Note how we have discovered a very simple test which if verified all but proves that the universe is intrinsically random, based on only very weak physical assumptions. (We do need to assume something, as in principle nothing prevents the whole universe from being fully deterministic.) I think this conclusion deserves to be much more widely known — as Avi Wigderson (almost) suggested recently, it should even be taught in high school! Of course we know (well, maybe not yet in high school) that the laws of quantum mechanics predict that the world is random: they claim that measuring the state ... results in each of the two possible outcomes being obtained with probability 50%. This is a dubious argument. What could it possibly mean to prove that processes generate randomness on the fly, if you also concede that the universe might be fully deterministic? Generating randomness is an essential step towards quantum cryptography. They want to say, for example, that an eavesdropper will just get random bits. In fact there is no proof that anything in nature is truly random. All we can say is that according to quantum mechanics, certain observables are uncorrelated with various other variables of interest. With a little more cleverness and assumptions, we can show that the observables are uncorrelated with hypothetical hidden variables. But that is not really saying much, as the consensus is that hidden variables are impossible anyway. It sure appears that the radioactive decay of Potassium-40 is random, with known half-life and other statistical properties. Maybe K-40 has a mind of its own and decays when it wants to decay. 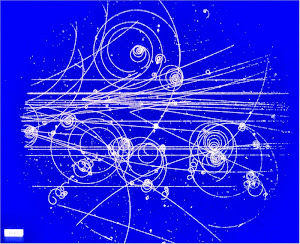 Or maybe its quarks are vibrating in a chaotic system that would be perfectly predictable if the initial conditions of a billion years ago were perfectly known. The claims of provable security in quantum cryptography depend on arguments like provable randomness. But no such thing is provable. Why is the EPR claim "the reasonable thing"? It is reasonable insofar as it follows from a principle that has long guided physicists: the principle of locality -- no action at a distance. Locality implies that particles cannot communicate over spacelike separations. 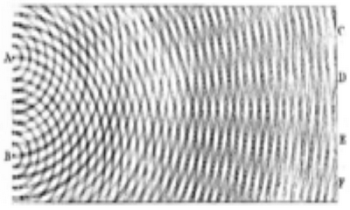 The GHZ thought experiment, however, shows that -- in some sense -- particles do communicate over spacelike separations. Hence quantum mechanics is nonlocal. In Sect. 2, we stated that such nonlocality seems incompatible with the theory of relativity. Now we have to look more carefully at the apparent incompatibility. Can Alice, Bob and Claire use the GHZ experiment to exchange superluminal signals? Let Alice, say, ... The particles may communicate, but Alice, Bob and Claire cannot. Quantum nonlocality violates the spirit, but not the letter, of relativity theory. I guess that this is a common view, but I don't think that it is a useful one. It is saying that quantum mechanics requires some sort of strange nonlocality that we can never observe directly. Assuming lcoality makes more sense to me. The evidence is against local hidden variables, but quantum theory rejects hidden variable anyway. Nonlocality is just an unscientific belief. Bell's 1964 theorem, which states that the predictions of quantum theory cannot be accounted for by any local theory, represents one of the most profound developments in the foundations of physics. ... We review the main concepts and tools which have been developed to describe and study the nonlocality of quantum theory, and which have raised this topic to the status of a full sub-field of quantum information science. This is nonsense. The predictions of quantum theory are accounted for by quantum theory, a local theory. Bell's theorem actually says that the predictions of quantum theory cannot be accounted for by any local theory of hidden variables. The theorem is only so profound when it is misstated. Goedel's Lost Letter blog speculates about a world without randomness. I guess that is what the determinists believe in, but it would be a strange world. The play “Rosencrantz and Guildenstern are Dead” opens with 157 heads in a row. By multiverse theory there exists a world where that really happened. Playwright Tom Stoppard could have been more subtle and had the coin flips trace out the sequence of prime numbers, in the manner of the novel Contact, or the binary expansion of π. Since the latter are low-complexity deterministic sequences, by Levin’s measures they are scarcely different from all-heads as outcomes. In an unrestricted multiverse, there are worlds where those sequences occur too, for as long as is relevant. Any of those worlds could be our world. That is another reason to disbelieve in the multiverse. It’s the second time in a week that a seemingly random attack by teenagers has claimed a life. On August 16, a 23-year-old Australian baseball player attending college in Oklahoma was gunned down in the town of Duncan. The randomness of the two attacks was not lost on Ted Denison, who’s been friends with Belton for a long time. The jury of six men and six women will reconvene Sept. 4 to determine if Naso gets the death penalty for killing the four women with alliterative names: Roxene Roggasch in 1977, Carmen Colon in 1978, Pamela Parsons in 1993 and Tracy Tafoya in 1994. I am not sure what makes one crime more random than another.